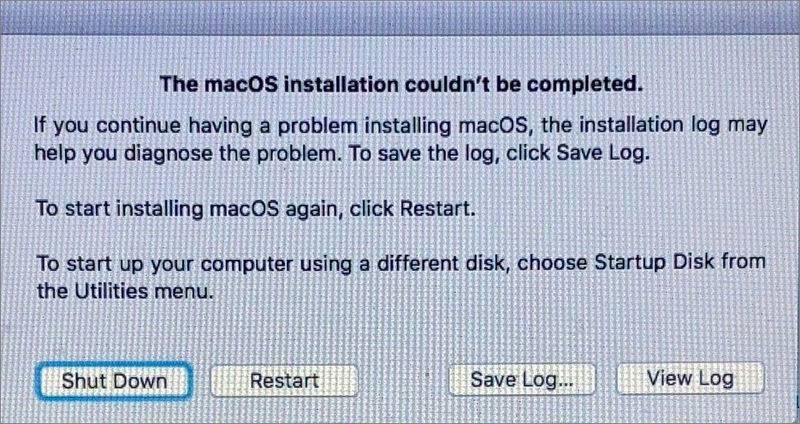 This short article explains what you can do when you encounter the “The macOS installation couldn’t be completed” error message. The error message has four options: Shut Down, Restart, Save Log and View Log. It is highly likely that restarting your computer will produce the same error message. Note that before trying anything, you may want to backup your device. The first thing you should try is to start your Mac in safe mode. You can do so easily: Simply restart your computer and as soon as your computer begins restarting, press and hold the Shift key, until you see the Apple logo. This will put your computer in safe more. Try to update or upgrade your Mac now. If this does not work, read on. Select your regular/standard (usually Macintosh HD) disk and click the arrow icon under it and hit Enter. Restart your Mac, and while your computer restarting, immediately press and hold the Command and R keys until you see the Apple logo, then you can release the keys. If First Aid says the Disk is OK, then, on your computer, go to System Preferences> Users & Groups> and click the Login Items tab, if you see any third party apps there, click the minus icon and remove them. And try again. 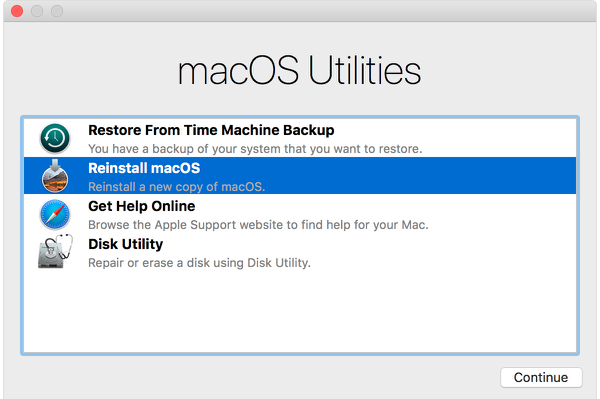 Depending on the macOS version you are trying to install, try using the macOS combo update. These update files are available on Apple websites. They are big files so it will take times to download and install. Once the download is completed, double click to run and to see if this completes the installation. So when none of that works it is time to test the partion of the volume being used as startup. This becomes critical if you are changing file systems as High Sierra introduced. Techtool Pro provides a partition test and repair function wbich will correct the error. Luis, many thanks for your suggestion. It worked!